Do some cultural sightseeing at The Rocks and Australian National Maritime Museum. 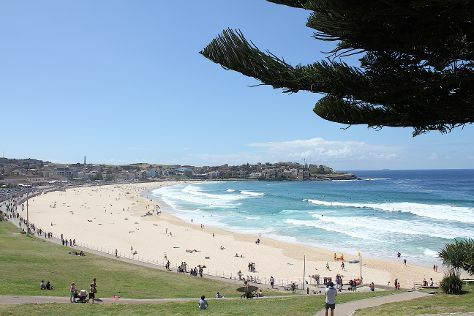 Relax by the water at Bondi Beach and Manly Beach. The adventure continues: wander the streets of Darling Harbour, admire the striking features of Sydney Tower Eye Observation Deck, don't miss a visit to Sydney Harbour Bridge, and explore the world behind art at Art Gallery of New South Wales. To see reviews, traveler tips, photos, and more tourist information, read our Sydney holiday planning tool . The Route module shows you travel options from your home to Sydney. In August, daytime highs in Sydney are 22°C, while nighttime lows are 11°C. Cap off your sightseeing on the 12th (Mon) early enough to travel to Melbourne. 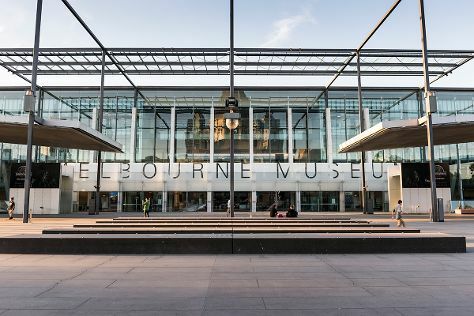 Kids will enjoy Melbourne Museum and Royal Botanic Gardens. Get a sense of the local culture at National Gallery of Victoria and National Sports Museum. And it doesn't end there: admire nature's wide array of creatures at Melbourne Zoo, learn about all things military at Shrine of Remembrance, make a trip to Royal Exhibition Building, and take in panoramic vistas at Eureka Skydeck 88. To find where to stay, ratings, other places to visit, and other tourist information, you can read our Melbourne trip planner. Traveling by flight from Sydney to Melbourne takes 3.5 hours. Alternatively, you can do a combination of flight and shuttle; or drive. Plan for slightly colder temperatures traveling from Sydney in August, with highs in Melbourne at 16°C and lows at 6°C. Wrap up your sightseeing on the 15th (Thu) to allow time to travel to Uluru-Kata Tjuta National Park. Get a sense of the local culture at Uluru and Lungkata Walk. There's lots more to do: take in the dramatic natural features at Kata Tjuta, take in the pleasant sights at Field of Light, get engrossed in the history at Uluru-Kata Tjuta Cultural Centre, and take some stellar pictures from Uluru. For other places to visit, maps, traveler tips, and more tourist information, read Uluru-Kata Tjuta National Park trip builder site . Traveling by flight from Melbourne to Uluru-Kata Tjuta National Park takes 5 hours. Alternatively, you can drive. When traveling from Melbourne in August, plan for somewhat warmer days and about the same nights in Uluru-Kata Tjuta National Park: temperatures range from 27°C by day to 6°C at night. Finish up your sightseeing early on the 18th (Sun) so you can travel to Cairns. We've included these beaches for you: Palm Cove Beach and Trinity Beach. Kids will appreciate attractions like Scuba & Snorkeling and Nature & Wildlife Tours. Next up on the itinerary: let the kids burn off some steam at Muddy's Playground. To see photos, ratings, traveler tips, and tourist information, refer to the Cairns holiday planner . You can fly from Uluru-Kata Tjuta National Park to Cairns in 5 hours. Another option is to drive. 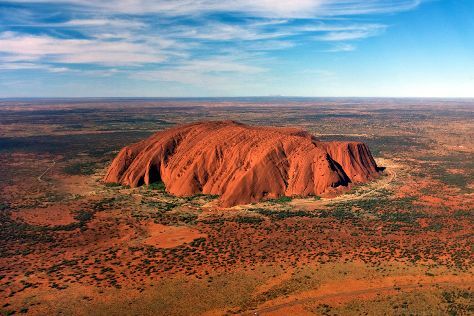 Expect a bit warmer weather when traveling from Uluru-Kata Tjuta National Park in August: highs in Cairns hover around 31°C, while lows dip to 20°C. Wrap up your sightseeing on the 21st (Wed) to allow time to take a bus to Cape Tribulation. On the 22nd (Thu), identify plant and animal life at Daintree Rainforest - Cooper Creek Wilderness, then get great views at Walu Wugirriga Lookout, and then kick back and relax at Thornton Beach. 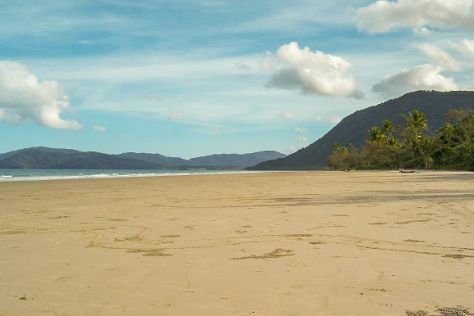 On your second day here, engage your brain at Daintree Discovery Centre, kick back and relax at Cape Tribulation Beach, and then kick back and relax at Myall Beach. To find more things to do, reviews, ratings, and more tourist information, you can read our Cape Tribulation trip maker . Getting from Cairns to Cape Tribulation by bus takes about 3.5 hours. Other options: drive. August in Cape Tribulation sees daily highs of 31°C and lows of 19°C at night. Finish your sightseeing early on the 23rd (Fri) so you can travel to Port Douglas. Satisfy your inner culture vulture at Des Spencer Galleries and Shannonvale Tropical Fruit Winery. Kids will enjoy Safaris and Hartley's Crocodile Adventures. Spend the 24th (Sat) among aquatic life with a scuba or snorkeling tour. There's much more to do: kick back and relax at Four Mile Beach, look for gifts at With Sugar, get to know the resident critters at Wildlife Habitat Port Douglas, and look for all kinds of wild species at Mossman Gorge. For maps, where to stay, other places to visit, and other tourist information, read our Port Douglas attractions planner . Do a combination of car and ferry from Cape Tribulation to Port Douglas in 2 hours. Alternatively, you can take a bus. August in Port Douglas sees daily highs of 31°C and lows of 19°C at night. Wrap up your sightseeing on the 27th (Tue) early enough to travel back home.